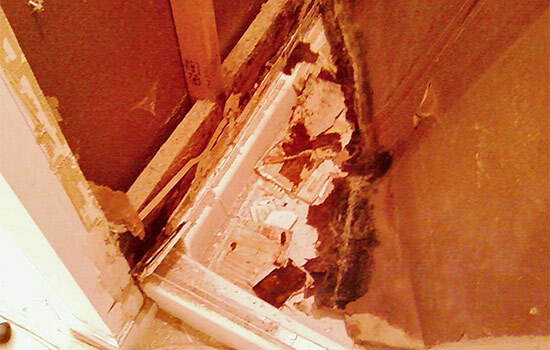 Red Mold in Shower – Mold growth can be a disturbing problem for everyone. 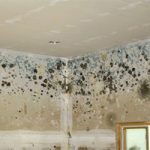 Due to its nature, mold can grow almost everywhere, as long as it is damp enough. 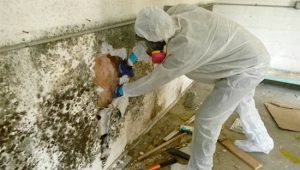 There are so many types of mold, and each of them has their own characteristics. The types of mold that get the most attention are black mold and green mold. However, other types of mold can also grow around your living area. One of them is red mold. The species that generates reddish color include Fusarium, Aspergillus, and Rhodoteorula. 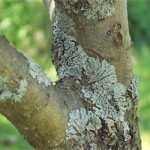 Most of the time, red mold will appear as tiny specks or spots at first. Most people mistaken these spots as common stains. However, if these stains keep growing even after you scrub it, then it is definitely red mold. Other than the distinct red color, this mold also generate that particular musty smell that often produced by mold. Finding red colored mold in shower is a pretty common things. Bathroom and shower can be considered as one of the most favorite place for mold to grow, including red mold. Other than the general damp feeling, shower and bathroom also offers nutritious foods for mold, such as dirt, soap, and shampoo residue. Some of common places for mold to grow in a bathroom is around the faucets, insulation, curtain and walls, the sinkholes, and under the sink. During its early stages, red mold in shower is pretty hard to be distinguished from common bathroom stains. It will occurs as red spots, and you can easily wipe it. However, these red spots will occur again and again, even after you scrub it several times, which indicates that those spots are mold. Wear googles, gloves, and mask: to protect your respiratory system, nose, and eyes from inhaling spores from mold, particularly during scrubbing, you need to protect them with safety equipment. Other than that, you will also deal with harsh chemicals that you use to scrub the mold, which can be dangerous for you. Do not forget to wear old clothes so you can disposed it immediately once you are done with your cleaning. Make sure the bathroom is well-ventilated: do not forget to open the door and windows of your bathroom while dealing with mold and harsh chemicals you use to clean them up. If you feel dizzy during the cleaning, take a short break and leave the bathroom immediately. 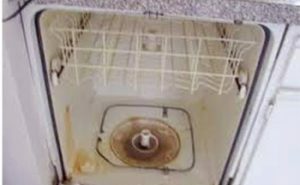 Use bleach: for red mold that occurs on hard surfaces, such as fiberglass, tiles, or drains, you can create a 1:3 bleach and water mixture. Spread the mixture over the mold and wait for around an hour. After that, scrub it until it is gone and rinse it with clean water. You can use toothbrushes to deal with narrow spaces. Use commercial products: another way to deal with red mold bathroom showeris by using anti-mold cleaning agents available on the market. Follow the directions provided by the products to remove the mold. Spray the products over the mold, wait for a while (according to the directions on the products), and wipe it clean. 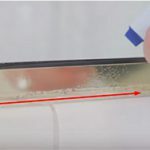 This method is the most suitable to remove red mold on shower curtain. Use plain cola and white vinegar: simply pour them into a bowl and dip your sponge or rag on it. Soak the mold with the liquid and wait for an hour. 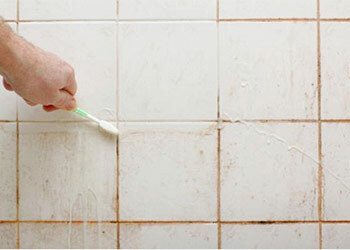 After an hour, scrub the moldy parts of your bathroom with a toothbrush or scrub brush. Rinse clean. The list above already explain some ways to remove red mold in shower. Make sure to keep your shower clean and dry to prevent the mold from coming back. 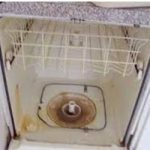 However, if it is still coming back despite repeated cleaning or the area covered by mold is more than 10 square feet, then it is recommended to call for professional help. You may need to spend some money on them, but it will be surely worth every pennies you spend. 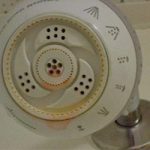 Related Posts of "How to Deal with Red Mold in Shower"